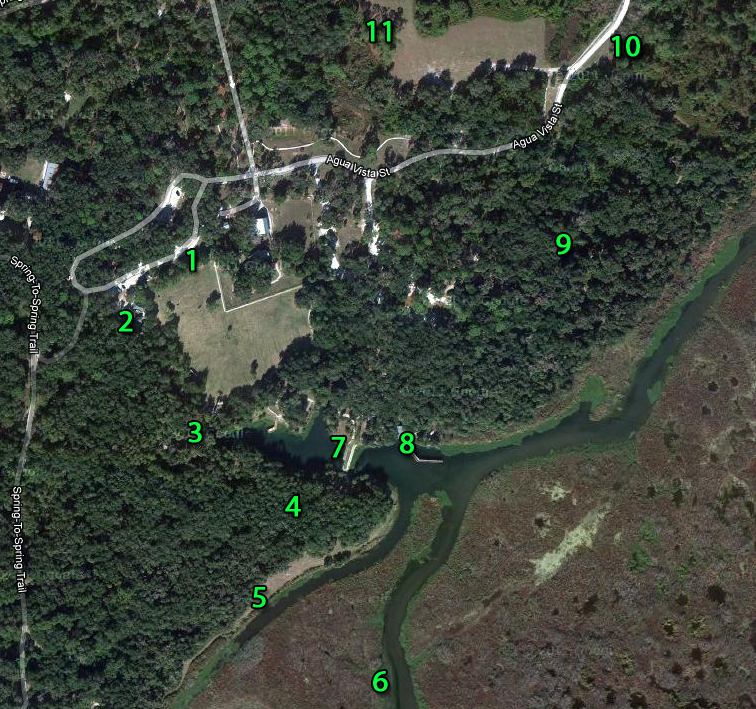 I found a lot of the birds on my 2011 BIGBY list at my new local patch, Gemini Springs Park, and along the Spring-to-Spring Trail. Gemini Springs covers 210 acres and is bordered on the south end by DeBary Bayou, which meets up with the St. Johns River. My regular walks there bring me along the spring run and bayou, through a mature wooded scrub area, and across a recreational / mowed field bordered by various types of wooded habitat. This map shows the park and some of my favorite hot spots. I usually walk just over a mile and a half. 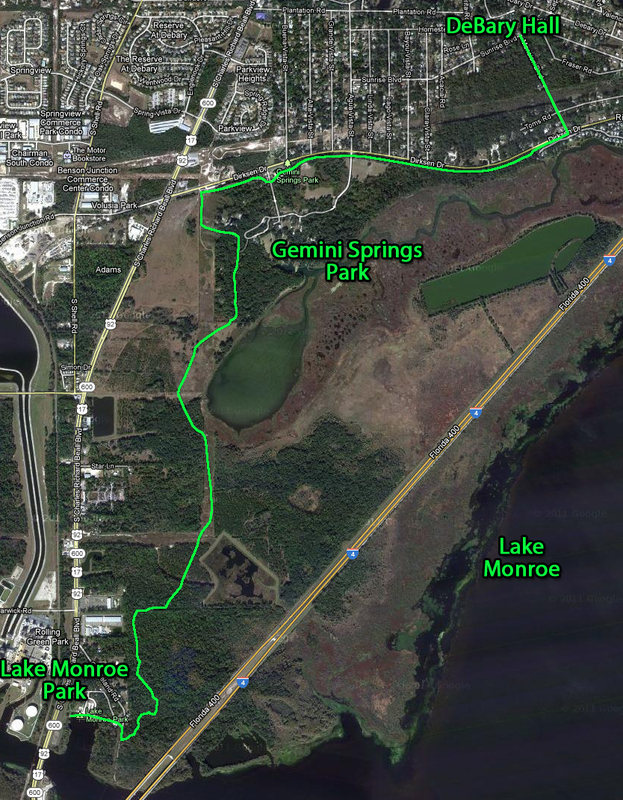 The Spring-to-Spring trail is a Volusia County project. The path will run from Lake Monroe Park, at the south end of the county, up through DeLeon Springs State Park and beyond. Today the path exists in completed but unconnected segments; the south Segment 1 runs from DeBary Hall to Lake Monroe Park. It’s about five miles from our home to the end of the path at Lake Monroe Park. I ride this trail 2-3 mornings per week. A pair of Bald Eagles has a nest somewhere in the middle of the path, but I’ve been unable to locate it so far. Starting in October I saw one or two adult Bald Eagles each time I biked the path. In the last month I’ve only seen one bird; the other is at the undisclosed nest site. I realize this type of local patch post has limited interest; thank you for reading this far! If you’re going to be visiting the area and / or if you have any questions, please feel free to send me an email. If you’ve blogged about your own local patch, please leave a comment below! This entry was posted in Florida, Gemini Springs, Green Birding, Volusia Birding. Bookmark the permalink.